The Load-Viewer build into DZ-Manager has been a great tool since the beginning to show actual lifts on big screens around the drop zone so skydivers know when it’s time to board. 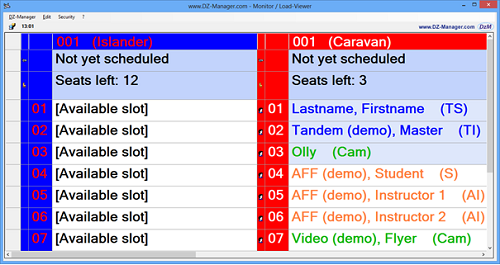 The Load-Viewer is part of all versions of DZ-Manager and is build right into the main application. As a result you can even use it with the free Personal version - the minimal setup. However we highly recommend a decent setup so you can display the load list on one computer while you use another one for manifesting. And to make the DZ-Manager Load-Viewer even better, we sat down with drop zones and thought about ways to improve it. 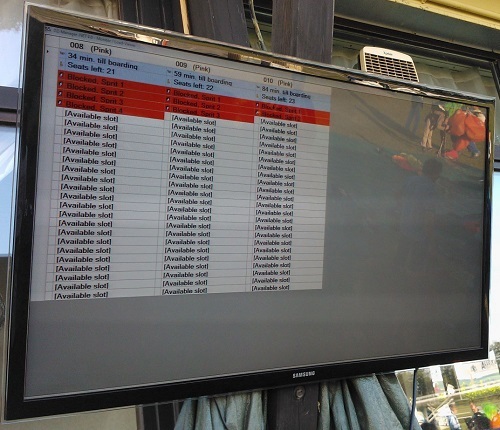 The result is the "Load-Viewer feature pack" available to all customers since autumn 2013.